An aerospace engineer at the Johns Hopkins University Applied Physics Laboratory since 1997, Mr. Holdridge directed the New Horizons mission, which flew by Pluto in July after a nine-year trek into desolation. Once a smudge on the rim of our explored solar system, Pluto is now a well-pixeled world of contrasts, mountains, frozen methane and maybe even geologic activity, possibly the result of the tug of its largest satellite, Charon. Pluto is no (dwarf) Planet X. It's a gateway to the solar system's next tier, the Kuiper Belt, and that's where New Horizons might be going next at 30,000 mph. If approved by NASA, the probe will move on to a nearby Kuiper Belt object and, in January 2019, bring humanity one dark rock closer to outer space. But Mr. Holdridge—with the soul of a frontiersman and no small sense of what if?—wants to go farther. Human footsteps in Martian dirt, robots on the murderous hellscape that is Venus, vacations to the satellite-thick systems of Jupiter and Saturn. "Imagine what it would be like to sit on [their] moons and see the other moons rising instead of just seeing the same white moon," says Mr. Holdridge, sitting in the lobby of the APL in Laurel, Md., scaled-down models of space probes suspended overhead. "It'd be pretty spectacular. 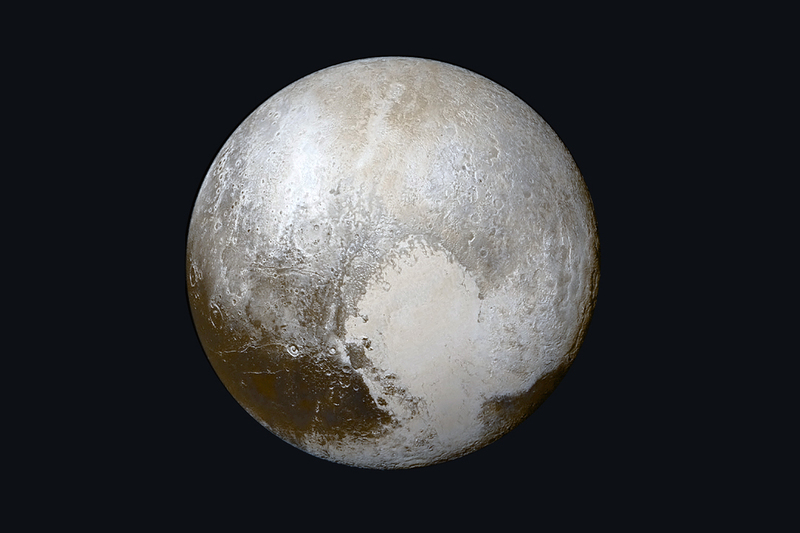 I can imagine what it would be like to sit on Charon and watch Pluto go around it. Those [trips] are within our grasp. Those are doable." A natural explorer, Mr. Holdridge grew up in rural Highland, Md., where he spent his childhood wandering the outdoors, following streams until they fattened into rivers and watching the animals. He used his backyard to launch rockets and his bedroom to do chemistry and futz with big magnets. Now 55, Mr. Holdridge, clear-eyed, 5-foot-5 and thorough, remains fascinated by adventure, invisible forces and epistemology. "Maybe one day we're going to wake up from a dream," he says, grinning, "and we're going to say how silly we were to be living in this world all our lives and thinking that magnetism and gravity were real. You know what I mean? It's like, 'Come on.' But it was just a figment of our imagination, in our dream." The capacity to abstract is important for a job predicated on blasting things into the void, and Mr. Holdridge, intrigued by oblivion, inevitably drifted there. "For me," Mr. Holdridge says, "deep space was the ultimate." After graduating from the University of Maryland in 1982, Mr. Holdridge started his career working on Navy satellites. Later, he became the operations manager on the NEAR mission, which launched in 1996 and orbited the asteroid Eros, then made a spur of- the-moment landing. The probe wasn't built for that but there was fuel left over, so they tried it anyway. That was 2001. It was the first time humans landed anything on an asteroid. From 2003 to 2011, Mr. Holdridge served as mission ops manager and later as orbital operations manager for the MESSENGER mission that put a satellite in orbit of Mercury. They crashed it on the planet's surface in April when the probe ran out of gas. Until late this summer, Mr. Holdridge was the encounter mission manager for New Horizons, directing a piano-sized $700 million probe 3 billion miles to Pluto—a task Mr. Holdridge compared with whacking a golf ball from Los Angeles and making a hole in one at the tip of the Washington Monument, after nine mid-flight course adjustments. The last adjustment to New Horizons came two weeks before the flyby, when it was 10 ½ million miles from Pluto. The probe coasted from there, hitting a 60-by-90-mile target. Now, New Horizons, like the Voyager probes before it, will zoom on and on, going silent in another 2 billion or so more miles. "We're all going to be gone, you, me—everybody on the face of this planet," Mr. Holdridge says. "The planet will probably be dead but that piece of hardware will stay intact well beyond life on this planet, almost for sure." Before humanity's last reckoning (if we're lucky), New Horizons will transmit 70 gigabits of data back to Earth. It will take 16 months, at a rate of two kilobits per second, while the probe drifts, carrying the ashes of Pluto's discoverer, Clyde Tombaugh, into the ether. The data flow, which will yield regular discovery, should help keep New Horizons fresh in pop culture. Mr. Holdridge hopes the probe's positive Q Score will influence Congress to better fund NASA. The agency currently gets less than 1 percent of the nation's $3.8 trillion budget. 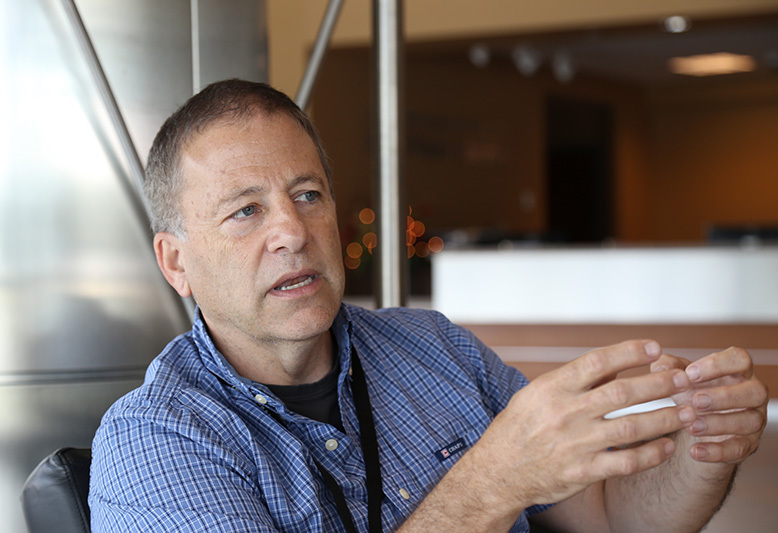 "There's a point where you have to say, 'Look, you have to apply a certain amount of your resources to exploration and broadening horizons, just like Lewis and Clark,'" Mr. Holdridge says. "Otherwise you don't know what it is you're missing. Maybe there's something out there that can help you with those problems [on Earth]. You don't know until you try." Mr. Holdridge proposed a national bureau of exploration, of which NASA would be one prong. This hypothetical agency would bankroll adventure and discovery, sending the intrepid and hardy to space, sea and remotest earth—to Mars or the Mariana Trench, to hunt for Martians, to hunt for an Atlantis. "Maybe there's civilizations buried [in the trench] that we never even dreamed existed so long ago—civilizations before what we thought was the beginning of time," Mr. Holdridge says. "Think about it: We've been around for four and a half billion years, and we know there's this lineage of life that we've seen. What if there's another whole run before that, that got completely buried? I don't know. It's kind of that out-of-the-box thinking. We should pursue that." Because who knows what could be out there? 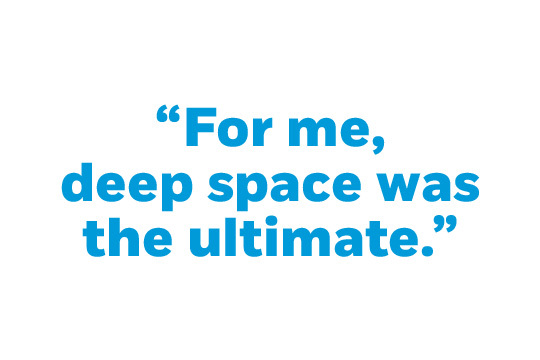 In an astronomy class at Maryland, Mr. Holdridge first encountered the Drake equation. Created in 1961 by astrophysicist Frank Drake, the chair emeritus of the SETI Institute, it calculates the probability of technologically advanced extraterrestrial life existing in the Milky Way. Mr. Holdridge ponders Drake's math sometimes while he's hiking or mowing the lawn. Part dreamer, part pragmatist, Mr. Holdridge believes that, statistically, life must exist out there. The question for him is whether contact is possible. "That's when I get crushed about the potential of a really good propulsion system being invented that will get us out there quickly, beaming us up and what not," Mr. Holdridge says. "If it could have been developed, one of those really advanced societies would have already done it and it would've visited us, right? Well, the only thing I can think of is that maybe we're just not that interesting to them yet. Maybe they want to check out the smart guys in the neighborhood first before they come check us dummies out. So it's either the propulsion—there is no such way; physics just won't permit it—or we're just not that interesting." With New Horizons done, Mr. Holdridge says he might work on a planned 2020s mission to Europa, Jovian moon and current trendy pick for the place in the solar system most likely to support alien life. He's also mulling getting in on a mission called Osiris Rex, which will land on an asteroid and return to Earth with samples. Whatever he does, Mr. Holdridge will keep exploring the best he can, to find what he can, armed with only his big rockets, an adventuring heart and some radioisotope thermoelectric generators. They're not warp drive, but they've been enough so far to get him to asteroids, to planets—to the desolation of Pluto. "At least now we know what it looks like," Mr. Holdridge says. "It's not just a word."